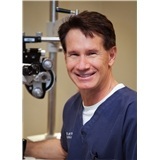 Dr. Fain is a graduate of the University of Houston College of Optometry. He has been in private practice since 1976. He is a member of The American Optometric Association, Texas Optometric Association, North Texas Optometric Society and involved in Sight for Students VSP and Meals on Wheels. Dr. Fain and his wife, Lindy, are very involved with the Juvenile Diabetes Research Foundation. They are active members of their community, church and their children's school activities. Dr. Hall grew up in Little Rock, Arkansas. She began her undergraduate studies at the University of Arkansas in Fayetteville. She completed her Doctor of Optometry degree at the University of Houston College of Optometry in 1998, where she received 3 letters of clinical excellence. She does volunteer work with the Lion's Club, Prevent Blindness America and Sight for Students. She is a member of the American Optometric Association, Texas Optometric Association and North Texas Optometric Society. Dr. Hall also volunteers at her daughter's elementary school and as a Girl Scout Troop Leader in her spare time. Tammi has over 20 years experience in management and previously served as an Optician and Contact Lens Supervisor in our office. 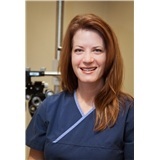 She has worked with Dr. Fain and Dr. Hall for over 15 years and loves what she does. Her commitment to our office is to ensure all patients leave confident they have had a thorough eye exam, been educated on the highest quality products available to meet their needs, and are Wow'd by our informed friendly staff. This delightfully warm team includes Directors of First Impressions Dominique, Stephanie, and Monica. They are eager to take care of all your scheduling and financial needs and are experts at maximizing your vision and medical insurance. This group is welcoming and they take pride in the quality of service they provide to our patients. Our amazing Opticianry is a dedicated team including Opticians Chris, Jacob, Leidy and Sam. Together these professionals have over 30 years experience and are eager to assist you with all your eye care needs. We use only the most technologically advanced products available and provide exceptional one-on-one patient service. This experienced and caring group is supervised by Michelle, who has been an asset to our office for over 13 years. Her team includes Tina, Whitney, Allen, Alaiza and Karla. They are professionals excited to assist you with your exam and contact lens needs. This group is full of energy and truly care about our patients' vision needs.